Both state appellate courts and federal courts consistently uphold the constitutionally of breed-specific legislation. 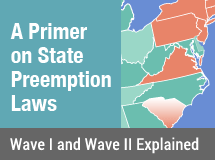 In 2008, the United States Supreme Court weighed in favorably as well. United States District Court, W.D. Wisconsin, upholds the Village of Fall River pit bull ban. United States District Court, N.D. Ohio, upholds the Lakewood pit bull ban. United States District Court, District of Colorado, upholds the Aurora Fighting Breed ban. United States Supreme Court denies cert petition; upholds the Toledo pit bull ordinance. United States District Court, District of Colorado, upholds the Denver pit bull ban. 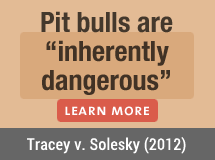 United States District Court, N.D. California, upholds the San Francisco pit bull ordinance. District of Columbia Court of Appeals upholds the emergency "Pit Bull Act" of 1996. United States Supreme Court denies cert petition; upholds the State of Ohio pit bull law. United States District Court, S.D. Florida, upholds the Miami-Dade pit bull ban. United States Supreme Court denies cert petition; upholds the Overland Park pit bull ordinance. United States District Court, S.D. Ohio, upholds the Village of South Point pit bull ban. United States District Court, E.D. Pennsylvania, upholds the Chester pit bull ordinance. West Virginia Supreme Court of Appeals upholds the Town of Ceredo pit bull ordinance. Supreme Court of Ohio reverses appellate court; upholds the Toledo pit bull ordinance. Supreme Court of Colorado upholds the Denver pit bull ban. Supreme Court of Arkansas upholds the City of Maumelle pit bull ban. Supreme Court of Utah upholds the North Salt Lake pit bull ordinance. Supreme Court of Iowa upholds the Des Moines pit bull ordinance. Supreme Court of Ohio reverses appellate court; upholds the State of Ohio pit bull law. Supreme Court of Washington upholds the Yakima pit bull ban. Supreme Court of Kansas upholds the Overland Park pit bull ordinance. Court of Appeals of Kansas upholds the Kansas City/Wyandotte County pit bull ordinance. Court of Appeals of Ohio affirms lower court; upholds the State of Ohio pit bull law. Court of Appeals of Kentucky affirms lower court; upholds the Bracken County pit bull ban. Court of Appeals of Missouri affirms lower court; upholds the Pagedale pit bull ordinance. Court of Appeals of Wisconsin upholds the South Milwaukee pit bull ordinance. Court of Appeals of Ohio affirms lower court; upholds the Cincinnati pit bull ban. District Court of Appeals of Florida upholds the North Miami pit bull ordinance. Court of Appeals of New Mexico denies cert petition; upholds the Tijeras pit bull ban. Supreme Court of Canada dismisses leave to appeal; upholds the Province of Ontario pit bull ban. Ontario Court of Appeals upholds the Province of Ontario pit bull ban.